“Don’t talk to strangers”, a phrase that has been embedded into us since childhood, and for good reason, is a little difficult to obey in the adult world, especially in real estate. 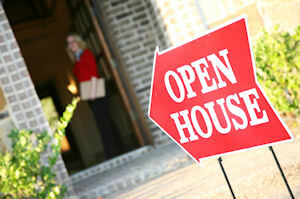 But showing a home to a complete stranger is an everyday part of the property managers’ world. With the recent news of Beverly Carter, the Arkansas real estate agent who was found murdered after showing a home to a potential buyer, real estate agents and property managers have become more aware of their surroundings, some even taking classes in self-defense. Erik Boltman, owner of Real Property Management Last Frontier in Anchorage, AK had an encounter that had this 6’0 225lb. military veteran scared and on high alert. Erik arrived at an appointment to show a small studio apartment to a couple that just didn’t seem right to him. “I’ve shown a lot of properties over the years and the behavior of these two just wasn’t normal.”, Erik said. “They didn’t pay attention to the normal things most people do while looking at a home and they were overly excited about a knife rack in the kitchen, the only item in the vacant property. So much so that they didn’t want to see the rest of the home and instead decided to plant themselves next to the knives and make idle chit-chat that seemed more like stalling for unknown reasons.” Erik sensed that something was off, knew he was out numbered, and a potential weapon was within arms reach of the couple who’s demeanor was similar to a person on drugs. Erik backed out of the kitchen, and backed himself up to the front door anticipating a way out. The female seemed to realize he was uncomfortable and abruptly grabbed her partner saying, “let’s go”, and they left. Luckily nothing happened, but Erik admits that while he’s not a jumpy person, he was scared and was convinced the two were up to no good. Erik is thankful for his training and experience with Real Property Management in knowing the signs to watch for when showing a rental. The National Association of Realtors gives 12 safety tips for real estate agents and property managers showing a home that could prove to be lifesaving. 1. Always hold the first meeting at your office, not at the property. 3. Download one of many safety apps on your phone designed for realtors and property managers and make sure your phone is charged. 4. If you don’t want to use a safety app, arrange for a friend or someone to call and check on you during the showing and use code words for your level of comfort. 6. Use your phone to take a picture of the car and/or license plate of the person’s car and send it to someone. 7. Arrive for the appointment early and scout the area around the home. 8. Before showing a vacant home, identify all possible exits. 9. If you have other appointments, talk about them to the client so they know others are expecting you. 10. If possible, allow them to guide themselves as you wait by the front door. If you must guide them, let them lead so you are behind them. 11. Avoid closets, basements, and attics. Never allow the client between you and the door. Often times, showing a home is one of the first steps in the tenant screening process. At Real Property Management, our professional property managers have the experience and training to make sure the process goes as safely as possible.